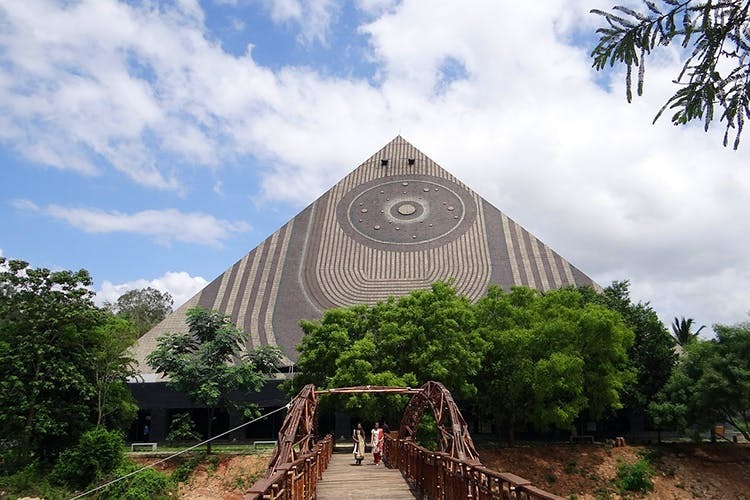 Just an hour or so away from the city, the Pyramid Valley is a massive space dedicated to meditation and spiritual practices whether you are an amateur or veteran. The landscape design and architecture of the Pyramid Valley is inspired by scientific research on meditation practices and offers a peaceful space to meditate. Whether you are a beginner or a veteran, or knowledge seeker of spiritual wellness, the Pyramid Valley has something for everyone, from a choice of meditation spaces, a library and even regular flea markets. A frequent venue for scientific meet-ups and mediation communities, visitors can also take some time off and stay at the premises. Taking inspiration from the Pyramids of Giza, the main meditation hall is in the shape of a colossal pyramid known as the Maitreya-Buddha Pyramid. This is based on the science that a pyramid top focuses on cosmic energy which helps meditators with better focus, concentration and purer experiences. For an added spiritual cleanse, Himalayan salt crystals known for their healing powers are inlaid and are said to further help meditators on their path. If you wanted to get away or spend some quality time mediating solo, try their smaller mediation spaces all topped with a pyramid roof. There are meditation huts amidst coconut groves, and also elevated spaces with fabulous viewpoints named after spiritual gurus — Osho and Rampa. If you would like to combine an activity, climb up the hilltop ‘Tapastali’ for a more in-depth meditation practice with a view of the beautiful surroundings. If you want to extend your knowledge of the self to the various spiritual learnings, the centre has a library and dedicated bookshop with music, videos and products. Their events calendar is bustling with mediation coaching classes, spiritual talks from reputed gurus and frequent workshops. Just as the full moon is responsible for the ebbs and flows of the ocean, the energy is said to have a positive influence on mediation. Join the overnight program at the centre that is hosted every month, which guides your meditation on the most important night of the month. The centre is not just for staunch meditators, it also offers a peaceful getaway with plenty of trekking paths and beautiful water bodies.